This Flight Path Quilt Designed by Kimberly Bourne of Main Street Market Designs, The Tutorial is available for free. "I am excited to show you this quilt. It is my “Flight Path” quilt. I designed it with the idea of being a quick and easy quilt to make for anyone. And then, I came across the perfect fabric collection by Riley Blake to go with it. 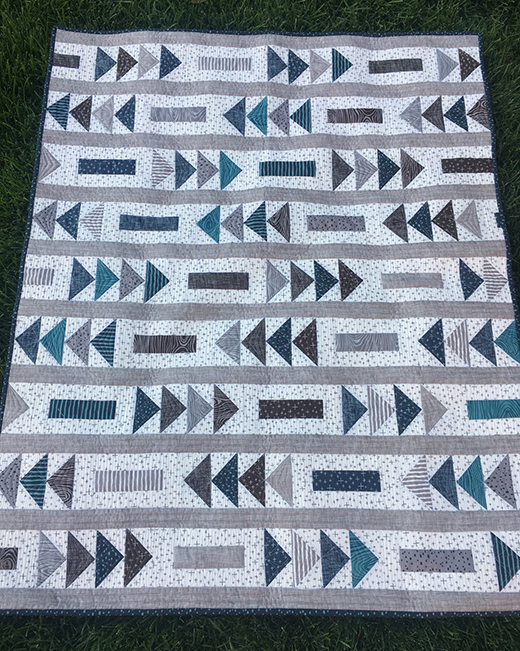 It is called “Knock on Wood” by Deena Rutter and it is a perfect line for little boy quilts. Once I started making it, I thought it would make a fantastic tutorial to share on my blog."